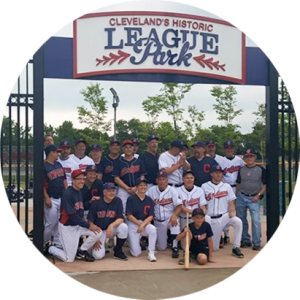 The Baseball Heritage Museum, located in the former ticket office at historic League Park at 6601 Lexington Avenue in Cleveland, has openings for Volunteer Museum Docents. Main duties are greeting visitors, answering visitor questions, processing memberships and handling merchandise sales. Docents also help with programs, field trips, special events and projects as needed. As a Baseball Heritage Museum Docent, you will be front and center helping the Museum fulfill its mission to preserve and present the history of diversity in baseball and be working at one of the most historic sites in town and in a neighborhood that is experiencing an exciting revitalization! To succeed in this position an interest in baseball is not necessary; Docent training on the collection and baseball history will be provided. Consider applying if you are a lover of history or interested in Museum studies. Necessary qualifications include the ability to present a warm and welcoming, casually professional demeanor, a commitment to adhering to the Museum’s protocols for visitor interactions, a willingness to learn, and an ability to adapt to the needs of a place that is constantly changing as it grows! Indicate “Museum Docent” in the subject line, and in the body of the email tell us why you are interested in the position. Please, no paper applications and no phone calls please.